Swinging from a Soggy Spring to a Sizzling Summer! 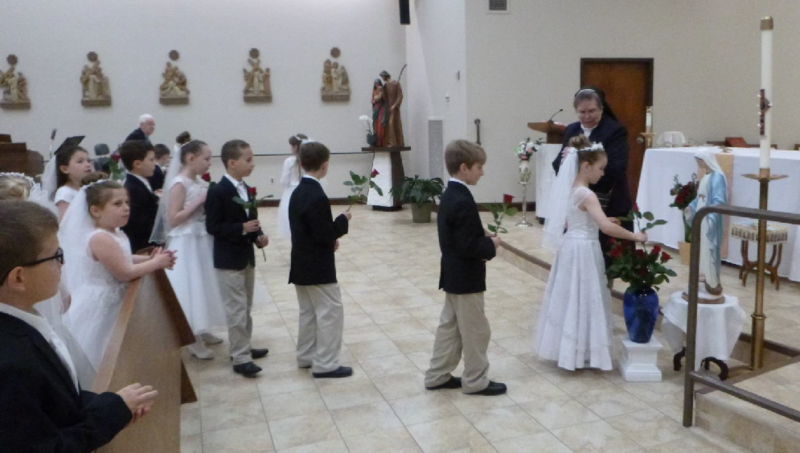 After celebrating Easter, we sprang into a few other spiritual celebrations. 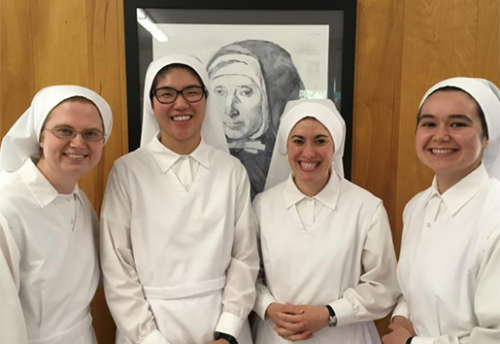 On May 1, feast of St. Joseph the Worker, we welcomed four new members to our Association Jeanne Jugan (AJJ), bring the total here in Philadelphia to 40. 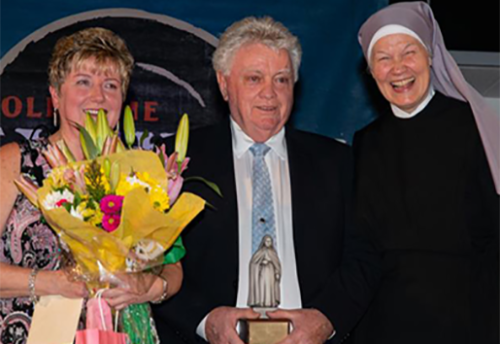 After Bonnie and David Krall, John Marley, and Tina Pilling made their promises for the first time, the other members renewed their promises for another year. 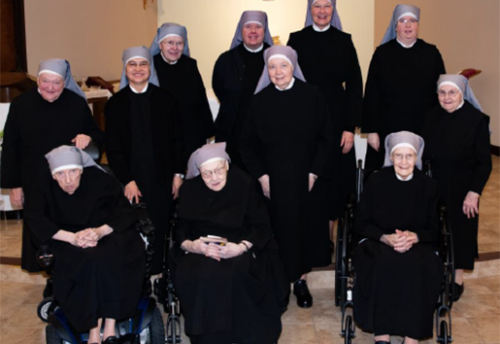 We are grateful to have this spiritual group of lay members who support us with their prayers and help spread to the community our message of respect and loving care for the elderly. 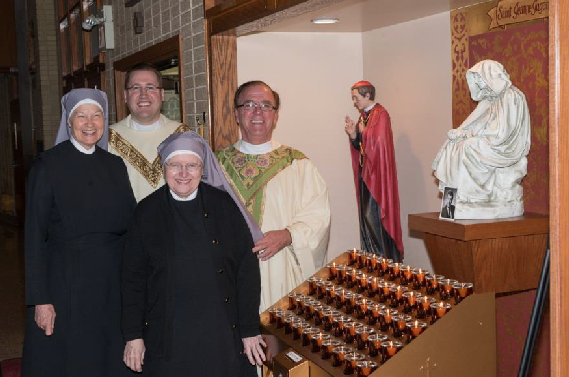 On Sunday, May 7, we were so excited to be present at the blessing of a statue of St. Jeanne Jugan, our foundress, at St. Pius X Parish in Broomall. 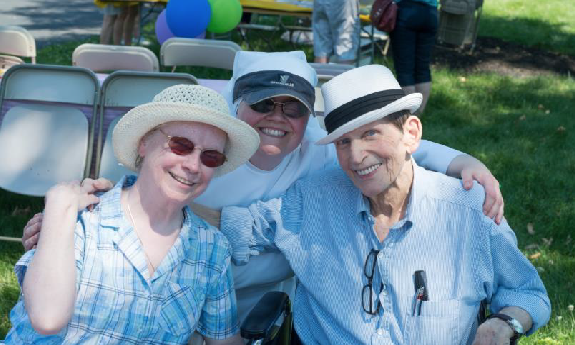 Father William Kaufman, the pastor, has been a long-time friend and supporter of the Little Sisters of the Poor since his days as a seminarian. 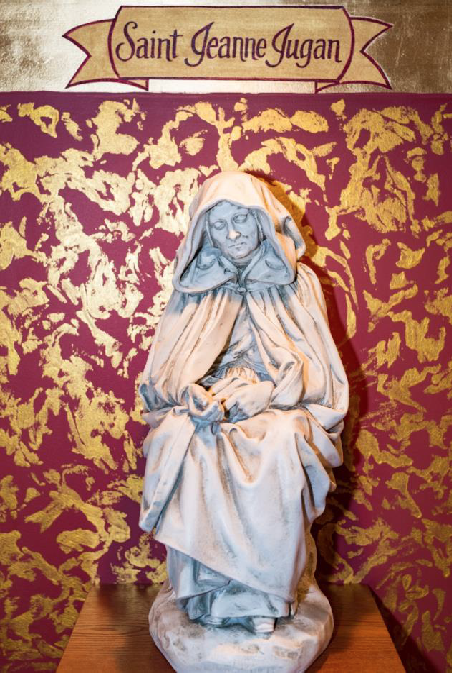 As far as we are aware, this is the first parish in the Archdiocese of Philadelphia to have a statue of St. Jeanne Jugan in its church. 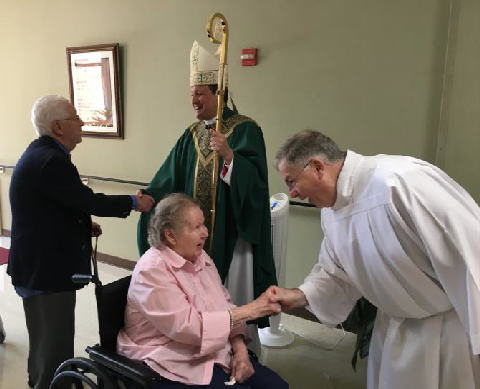 May the elderly look to her to be their advocate and intercessor. 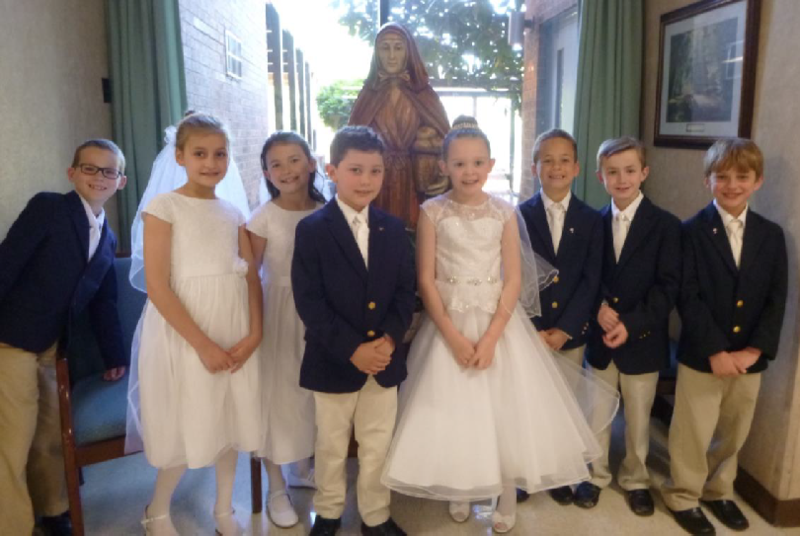 Our Residents looked forward to welcoming the First Communicants from Queen of Angels Regional Catholic School, Willow Grove, who participated in our May Procession and led in saying the rosary. It is a beautiful annual event, and we appreciate the students taking the time to come and brighten our Residents’ day. 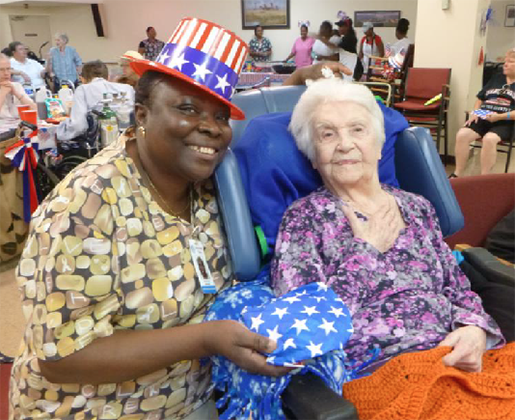 The sun shone brightly, bringing smiles and laughter to the faces of our Residents and their families as we gathered together for our annual Family Picnic on June 11. 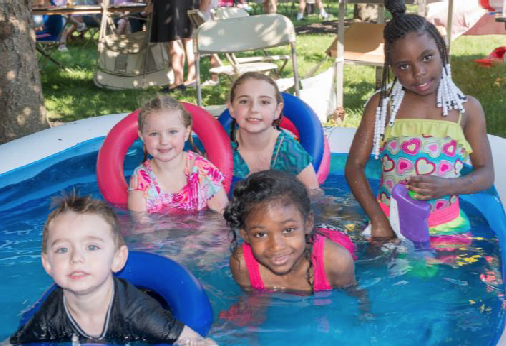 About 400 people attended, enjoying the smells of the barbecue, dancing to the music, digging into the watermelon and water ice, and watching the children wade in the pool and run around the large grounds. It was a nice afternoon of just relaxing and being present to one another. 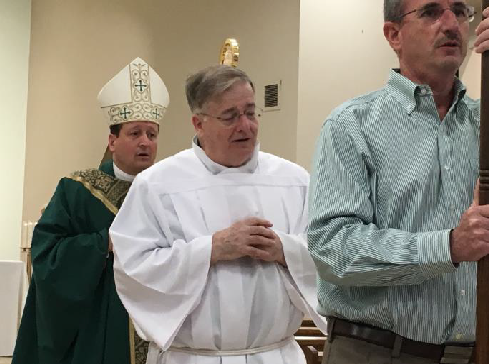 We were pleasantly surprised to receive a call from Bishop McIntyre, who came and celebrated Sunday Mass for us on June 25. Afterwards, he warmly greeted our Residents, who expressed their appreciation for his visit. 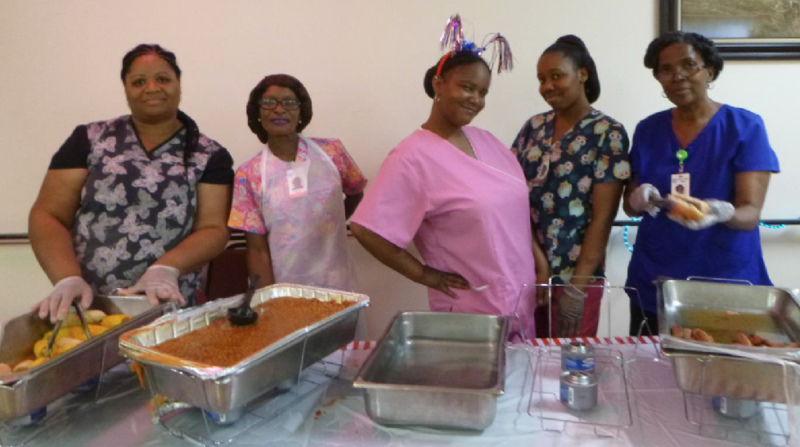 4th of July was a little too hot and muggy to have our picnic outside, so after praying for our country at Mass, we filled the elevators and made our way down to the Social Hall for hot dogs, hamburgers, baked beans, corn and salads. 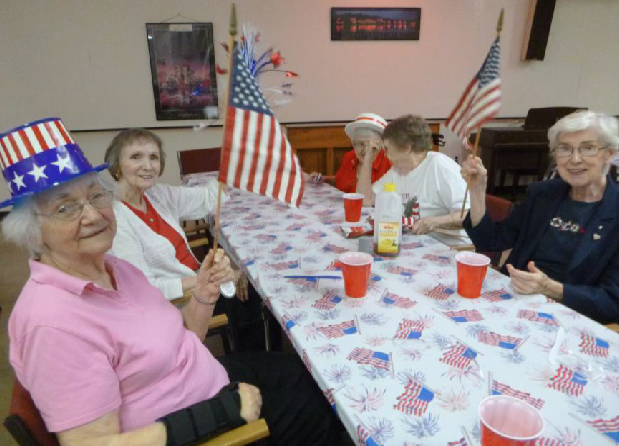 Residents happily munched away as entertainer Joe Staffieri played patriotic songs and old tunes. We hope you have an enjoyable and restful summer! And remember to buy your Pot of Gold ticket!